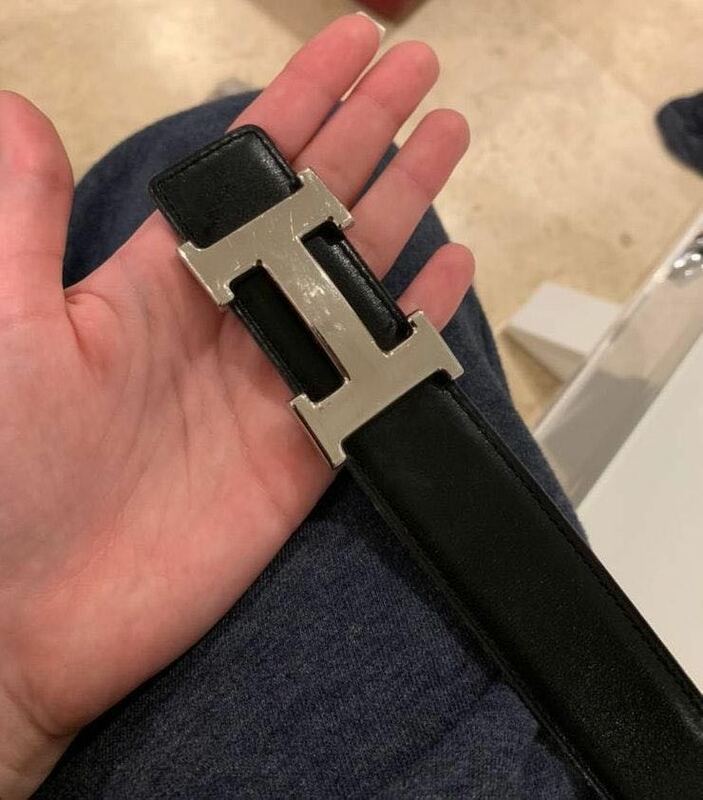 Real Hermès Belt, Hermes buckle in palladium plated metal & Reversible leather strap in 135 and Togo calfskin. Strap has no scratches or defects. The buckle is slightly scratched, but can be polished.